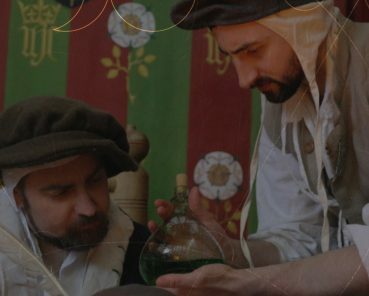 A famous saying tells us that history is always written by the victors and the powerful, however the award-winning volunteer team at York’s Barley Hall will be showing what it was like for the people on the other side, those in service during the medieval period. Comments Helen Harris, Head of Volunteering at York Archaeological Trust, the owners and operators of Barley Hall – which was shortlisted for the small attraction of the year award at this year’s Visit York Tourism Awards. Indeed, it is this ‘other side’ approach that the volunteers will be showcasing every Wednesday during the summer holidays. 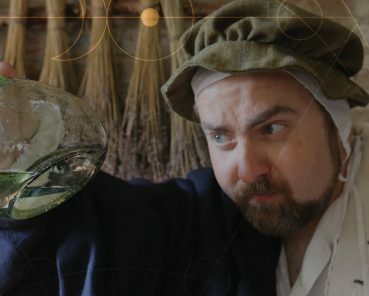 Daily tasks on display from the team will vary from week to week and will include cleaning and household tasks, table etiquette at a medieval feast and displays on food and drink available on offer during the Middle Ages. Members of the volunteer team will also be on hand, in full period costume to answer any questions and bring the hall to life. Barley Hall’s living history days will take place every Wednesday throughout the summer, starting on 25th July. The event is included in the standard admission; Adults £6, Child £3.00 and Conc. £4.50. More information and pre-booking can be found at www.barleyhall.co.uk/whats-on or by calling 01904 615505. Barley Hall is a stunning medieval house, once home to the Priors of Nostell and a Lord Mayor of York. Until the 1980s the building was hidden under the relatively modern facade of a derelict office block. Only when it was going to be destroyed was the amazing medieval structure discovered and its rich history uncovered. Owned and operated by York Archaeological Trust, a registered Charity in England & Wales (No. 509060) and Scotland (No. SCO42846) and part of The JORVIK Group of Attractions, which includes the world-famous JORVIK Viking Centre.